Keeping in touch with family can be hard when you’re in prison. One of the hardest things about going to prison was not being able to see my family. I missed not being able to see them when I wanted to. I also regretted not seeing them as much as I should have when I wasn’t in prison. While there, I thought about the next time they would come and visit, I never thought about if they really had to? Honestly, Is it really my family’s responsibility to come see about me while I’m locked up? The reason I was there was due to something that I brought upon myself? I mean, it’s a nice gesture for them to do especially because they’re flesh and blood, and if you have a close-knit family like I did, then it’s a no-brainer that they would come to visit, right? When your family loves you they come to see about you when you’re having a rough time. At the same time, would you be upset if they didn’t come to see you specifically for the fact that you’re locked up and it’s your fault? The other day I heard about a family experiencing this situation. Keeping in touch with their brother was a big issue for one of the sisters. The younger brother was upset with his older sister because she refused to visit him while he was locked up. He was angry while behind bars and resented her. She didn’t think too much of it. I think she was more concerned about spending her money and changing her schedule to fit the difficult visiting hours. She saw it as an inconvenience. She felt it was his fault he got into trouble, not hers, and therefore she shouldn’t have to deal with it. I get it, there’s money involved when you have to travel to visit someone who’s in prison. Some people might have to take off of work to visit loved ones. Some people have to pay tolls and use their much needed gas. If you have young children, then you may have to find somebody to babysit. Then once they get there, they have to deal with rude guards and employees. There are rules they have to follow that restrict their freedoms. It’s easy to become frustrated when CO’s are unhelpful. Also, visits are usually on the weekends and if you are a religious person, then you really only have one day to visit your family. 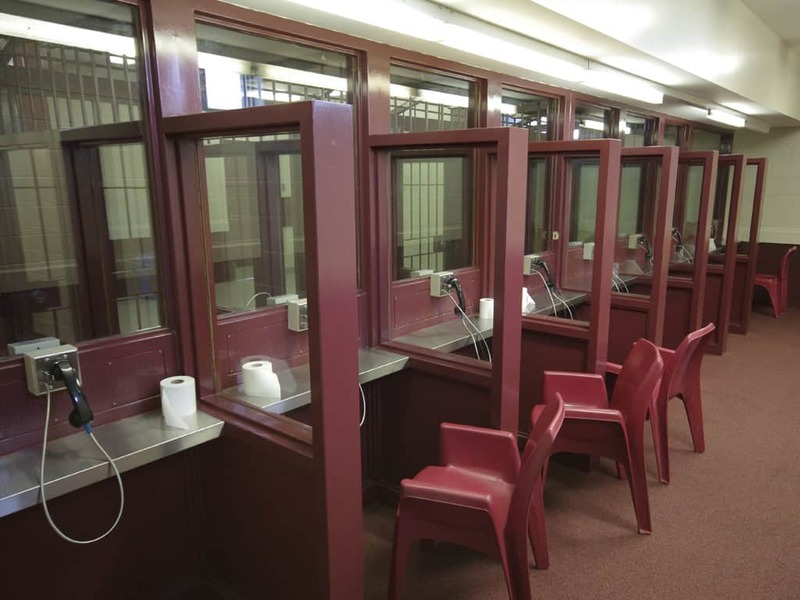 Given the circumstances, I questioned myself, should we pressure our family members into the responsibility of keeping in touch with us while we are in prison? There are other means of keeping in touch with family that are in prison. Phone calls and letters are the most common way to keep in contact with someone. However, the effort it takes to physically see someone is almost similar to the effort it takes to mail someone a letter. I’ve always heard that businesses value letters sent to them more so than phone calls. It’s because it takes some thought to sit down and write all that’s on your mind in an organized fashion. Talking on the phone is considered the microwave version of communication. Once a letter is written, you put it in the mail with a stamp and you’re done. Phone conversations are quick and easy, but they cost more money. In order for an inmate to contact loved ones, their family and friends had to set up an account and add funds. Everytime I called someone from prison, money would be withdrawn from their accounts for every minute we talked. The money went fast too. I completely understand the financial stance to withdraw yourself from connecting with a loved one who was locked up. Being a former inmate, I also understand the position this guy was in when his sister didn’t show up to see him. I also advocate for prison recidivism and think that a close-knit family is one of the best options to prevent this. Staying involved in a loved one’s life is crucial to them changing their behavior in the future. Forgiveness is always the best medicine for mistakes and second chances.